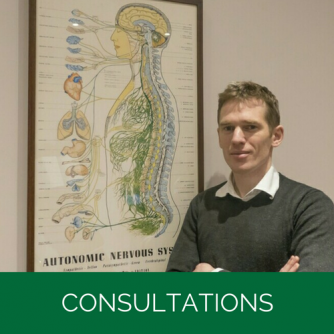 Our belief is that chiropractic like other health measures is there to be utilised regardless of your level of health. We all know we can improve ourselves daily. A perfectly healthy person needs a good diet, regular exercise, proper rest, a good mental attitude and a nervous system without interference. A person at the other end of the spectrum needs the same. Chiropractic is our offering in this regard. We work hard to maintain your brain and spinal hygiene but we also know that health encompasses many different factors of equal importance such as your level of rest, movement, nutrition, supplementation, water, positivity and your overall hygiene. 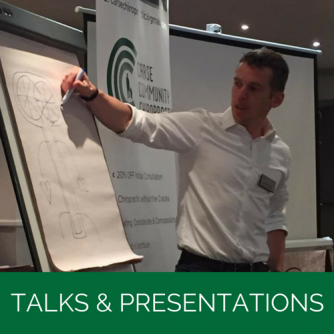 As such we have received referrals and recommendations from Personal Trainers, Dentists, Sports Therapists, Massage Therapists, Physiotherapist, Nutritional Therapists, Reflexologists and Medical Professionals. We are always looking to grow the number of professionals that we can turn to if we feel that one of our members could benefit with a different form of care or help in another health arena. 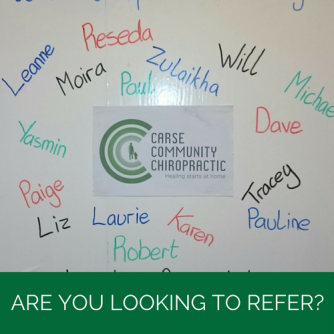 Similarly, if you have a member, client or patient that you feel may benefit from Chiropractic care then do not hesitate to get in touch through the form below or contacting us directly at the practice.